Virginia's Most Complete Fly Shop! Free USPS Priority shipping for clothing orders over $75! Free UPS ground on orders > $99! 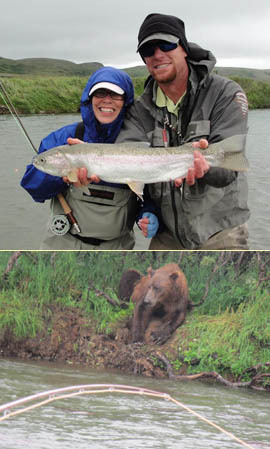 Angler's Lane can equip you to handle any fly fishing need, from Alaskan rainbows and New Zealand brown trout to Virginia smallmouth bass and brook trout or Bahamas bonefishing. 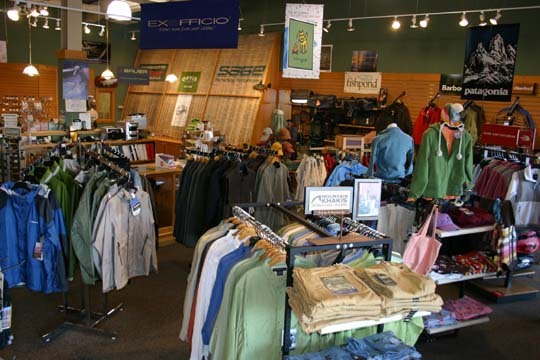 See our products here or in our store in Forest (Lynchburg) Virginia, for premier fly fishing equipment, fly tying materials, outdoor and travel apparel. 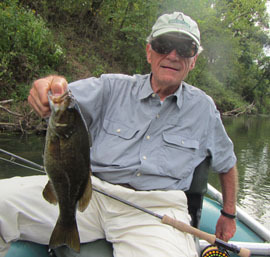 If you are looking for discount fly rods or discounts on a rod & reel outfit, be sure to visit our rod and reel combos! Internet customers repeatedly tell us you will not find better values or a wider selection of fly rod combos including Sage, Winston, Scott & TFO combos! Our assortment of flies--high quality, effective and unique--is growing, and we now offer a lower shipping rate on orders containing only flies and hooks. We stock many colors and sizes of Patagonia Capilene for both Men and Women. Visit ON SALE for new closeout bargains, including our specific Women's Sale page too. 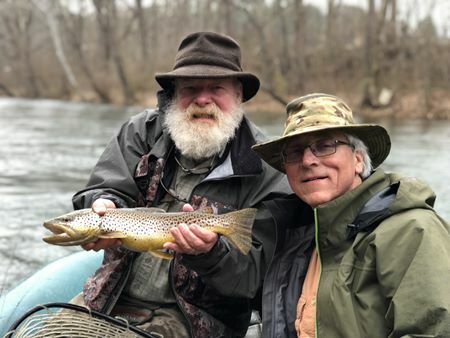 For a beautiful fishing experience or just a secluded place to relax, make a reservation at our Rivenridge at Piney Forks lodge in Amherst County, VA, where you will find the best brook trout fishing in Virginia. We offer full and half-day guided trips, day passes and overnight stays. We often customize trips for family groups, alumni reunions and annual getaways for close friends. 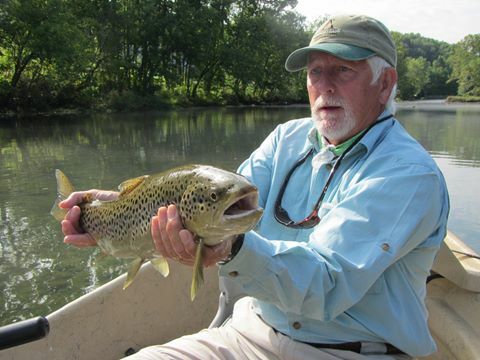 Enjoy guided trips and overnights at our 3-bedroom cottage, Stonesthrow on Jackson, on the tailwater section of the Jackson River, Virginia's premier floatable trout water, near Hot Springs, Va. We offer guided fly fishing for rainbow and brown trout on the Jackson, either float fishing or walk & wade from one of our four properties. 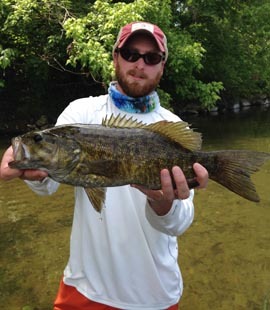 Our professional guides can take you float fishing for smallmouth bass on premier rivers in Virginia, specializing in the James River, and the Staunton. For those seeking a big fish gamble we guide the James for muskie (or musky) as well. REMINDER: Free Shipping within continental US for clothing orders $75 & over ! Free shipping for all other items over $99! details! Orders with only flies & hooks ship free $50 & over!